Visit Laie: New website explores Oahu’s north shore treasure! With the growing strength of the Hawaii tourism market over the past several years and the recent completion of a new hotel here, a hui or organization of businesses and visitor-related activities in-and-around Laie has come together to support a new destination website that consolidates key information for those who may increasingly think of our community as more than a one-day experience. 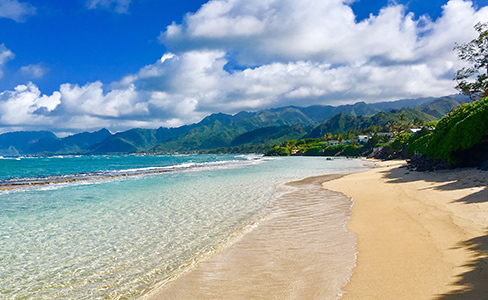 What adventure awaits you in Laie? With as many as a million visitors a year coming to Laie — home of the Polynesian Cultural Center, Brigham Young University–Hawaii and the Laie Hawaii Temple — a lot of people are looking for information online about our unique community. There’s an overwhelming amount of it already on the internet. For example, a recent Google™ search under “Laie” turned up 5.45 million listings, which points up the need for a single portal. No matter what you’re looking for, this website has it! Looking for a great beach? Laie has some world class spots for a number of watersport activities like swimming, boogie boarding, kayaking or just catching some rays. Maybe land activities are more your style. 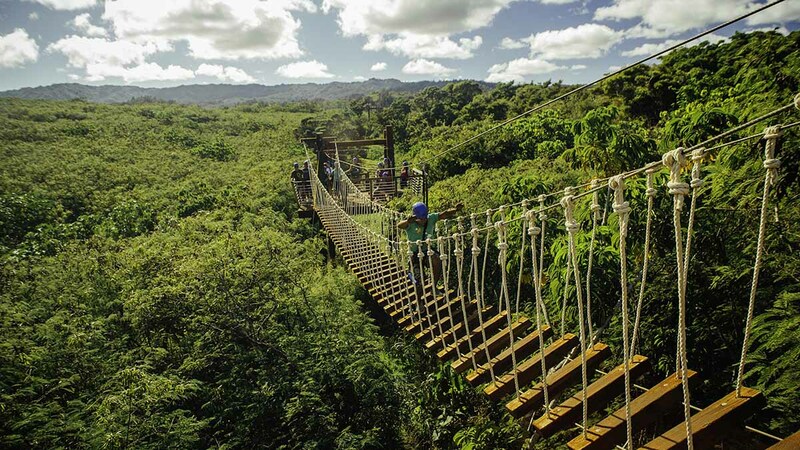 Beginning with what is considered the best zip line on the island, you could fill your days with hikes, horseback riding, bike trails and more. 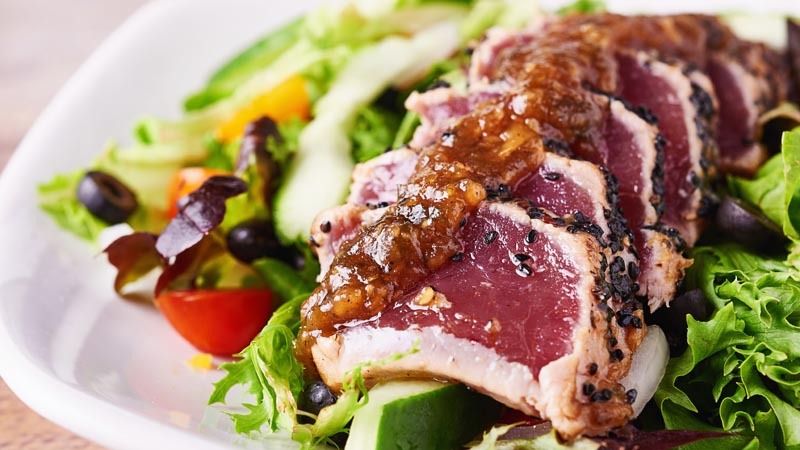 Shopping and dining may be a main focus in the Hukilau Marketplace, but it doesn’t stop there. From souvenirs to aloha wear, home decor to fine jewelry, you’ll find it in Laie! Did you know this about Laie? The history of Laie is exciting, miraculous and inspiring. 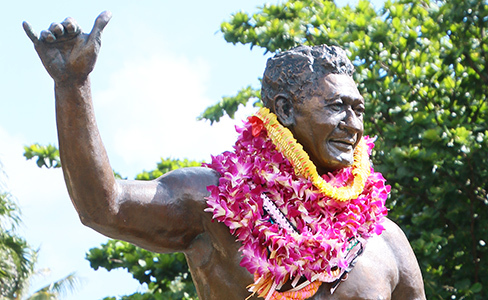 Visitlaie.com helps you to explore rich tales about our famous shaka: Laie’s “wave to the world,” and how the Hukilau “down in old Laie Bay” evolved into the Polynesian Cultural Center. 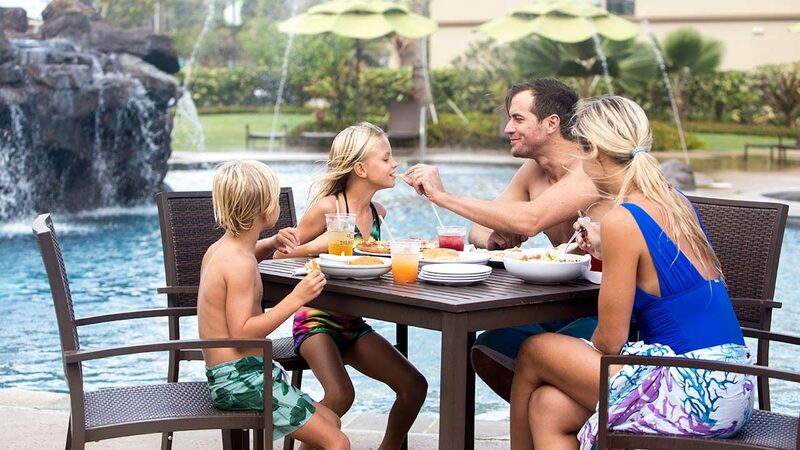 Plans call for adding more content including a promotions page where participating partners can publicize special offers and discounts for people who come through the site. In other words, check back from time to time. 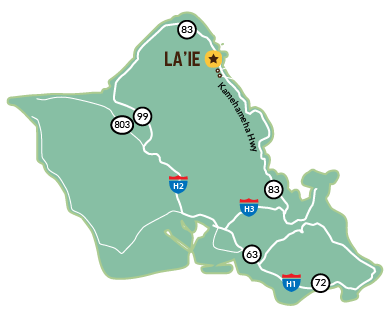 So here it is: Rich pictures, up-to-date and engaging write-ups and amazing stories….its’ all yours at visitlaie.com As their website says, “Laie. Stories await”. Make it your story! 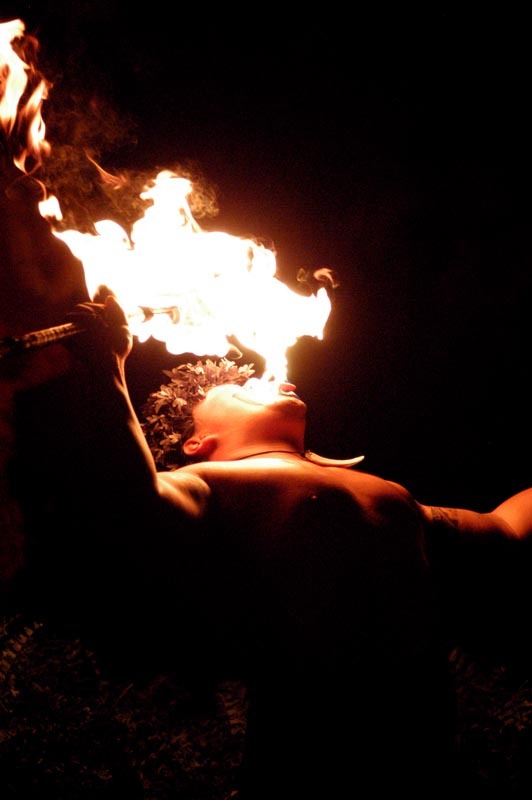 Story by Mike Foley, who has worked off-and-on at the Polynesian Cultural Center since 1968. He has been a full-time freelance writer and digital media specialist since 2002, and had a long career in marketing communications and PR before that. He learned to speak fluent Samoan as a Mormon missionary before moving to Laie in 1967 — and still does. He has traveled extensively over the years throughout Polynesia, other Pacific islands and Asia. Foley is mostly retired now, but continues to contribute to various PCC and other media.